In the latest escalation of Los Angeles’s Hollywood Sign wars, Warner Brothers has announced something of a truce: a plan to build a $100 million gondola system that would connect the entertainment company’s studio backlot in Burbank, California with the iconic sign. The plan was announced via The Los Angeles Times earlier this week and comes as Los Angeles works to assuage concerns of the wealthy homeowners who live near and around access points to the sign. Those homeowners complain that increased public desire to visit and see the landmark has created gridlock and unsafe conditions in their neighborhoods as tourists peer out from their cars and stop in the middle of the street to take photos of and selfies with the sign. Though world famous as an iconic symbol of L.A., the Hollywood sign has never functioned as a traditional monument that people can freely visit. Instead, intrepid hikers and explorers must traverse a series of canyon trails, including the Beachwood Canyon access point, which the city closed in 2017, to get close to the sign. The super-adventurous have long illicitly hiked to the site of the sign itself, where the 40-foot-tall letters are simply and unceremoniously affixed to the hillside with poured concrete footings. But in recent years, as athleisure activities and Instagram have taken off, interest in visiting and seeing the sign has blossomed, presenting headaches for neighbors and questions of safety for visitors alike. After a recent trail closure, local city councilperson David Ryu commissioned a study aimed at finding ways to increase public access to the sign without impacting neighborhood residents. The wide-ranging recommendations included punitive measures like planting new trees and shrubbery to obscure views of the sign from the circuitous Mulholland Drive as well as visionary fixes, like potentially building a gondola system and visitors center along south-facing slopes of the Hollywood Hills. The most outlandish recommendation called for erecting a replica sign on the opposing side of the mountain that faces the San Fernando Valley. Warner Brothers’ plan represents a strange hybrid of the latter approaches. The company has large studio and production facilities in the San Fernando Valley that are a tourist draw in their own right. 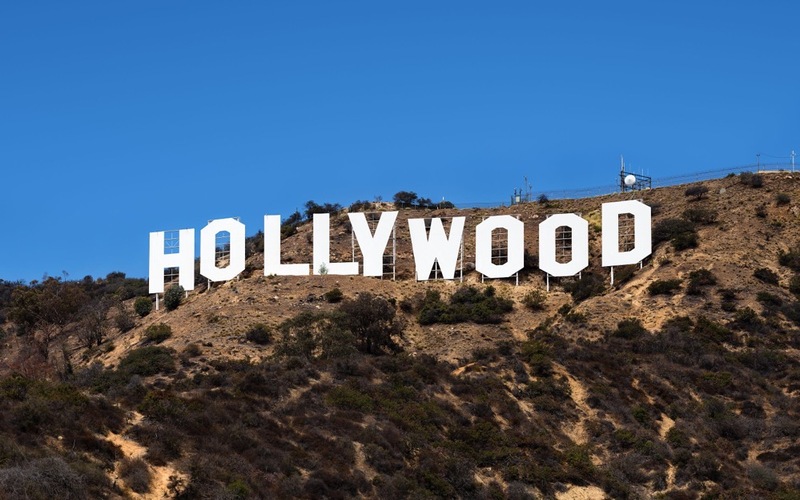 The proposed plan—an architect or design team has not been announced—would essentially expand those facilities to include access to the Hollywood sign by spanning over nearby Griffith Park and other adjoining hillsides. The scheme is in the very early phases of planning and study and will require many agency and local approvals, but the studio has offered to pay for the gondola, so at least funding is secured. The gondola proposal comes weeks after Aerial Rapid Transit Technologies, LLC announced its own plan to construct a gondola system that would take passengers from the Los Angeles Union Station to Dodger Stadium. That $150 million proposal is also under development, has support from L.A. Mayor Eric Garcetti, and is projecting a 2022 opening date. A timeline for the Hollywood Sign gondola has not been announced.